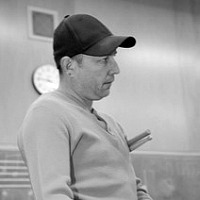 Raised in Bakersfield, CA, he has taught various high school percussion programs for the last sixteen years. Dave has also taught with both the Blue Devils and Marion Cadets drum corps organizations. 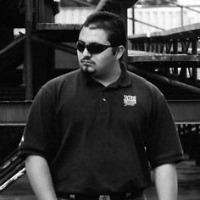 He is currently the battery arranger/coordinator at Bakersfield College and Liberty High School. Dave is proud to endorse Innovative Percussion, Dynasty drums, Remo drum heads, and has released a signature edition drum pad with ProLogix Percussion. His performance experience beyond high school included a combined four seasons with the Santa Clara Vanguard Cadets and Concord Blue Devils “B” tenor lines where he studied under David DiLullo, Ercan Erhan, Rudy Garcia, Jason Freitas, and Shannon Chorch. As an original member of the Bakersfield College Drumline, he took on additional instructional and design responsibilities through the years and is currently the battery tech and visual coordinator. Tony is active in the local high school marching band circuit and has instructed and written for numerous schools in the Kern High School District over the last eight years. 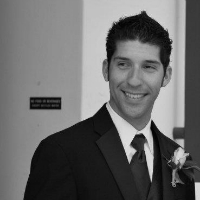 Currently he is the battery instructor and visual designer for both Stockdale and Bakersfield High School. 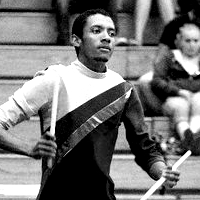 Anthony's career in marching percussion began at Foothill High School in Bakersfield, CA. In 2008 he performed with the Concord Blue Devils B where he was under the instruction of James Saltorre. Anthony's indoor drumline experience continued with the Bakersfield College Drumline under the instruction of David Ellis. 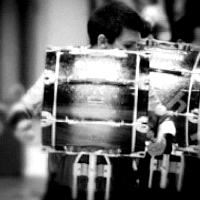 He marched snare for three years and was center snare in 2012. As a student at Bakersfield College studying industrial drawing/design, he continues to work with BC's fall semester drumline where he serves as the assistant battery coach of the Renegade Line. Anthony is happy to continue with the instructional staff of Bakersfield College's indoor program for 2014. In addition to his performance background, Joey has taught and arranged music for several high schools in the Bakersfield area and is currently the front ensemble instructor for Liberty High School, Bakersfield High School, and Bakersfield College. 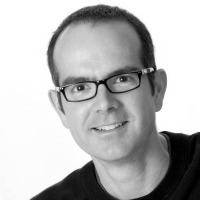 François Igoa started his educational music career in the 4th grade. He started his career in performance percussion in high school under the direction of both Andy Garcia and David Ellis. 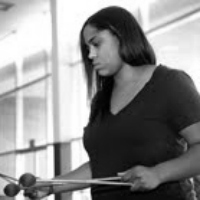 Not long after graduating he began performing withindependent ensembles such as Sacramento Freelancers, Blue Devils B, and was also a charter member of the Bakersfield College Drumline. 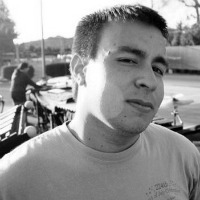 François works as a melodic percussion instructor and sound engineer/designer with Stockdale High School, Liberty High School and Bakersfield College. Currently, he is obtaining his Bachelor’s of Science in Music Production at Full Sail University. 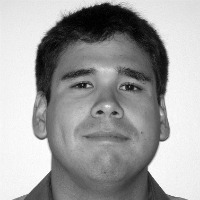 Steven Estudillo was born and raised in Southern California. He spent an early part of his marching career at Pacific Crest Drum and Bugle Corps (2002 – 2005) then spent his last three years marching at The Cavaliers Drum and Bugle Corps (2006 – 2008). Steven is a full time instructor and drill designer for marching bands, drum lines and color guards in California, Texas, Pennsylvania, Arizona, and Ohio. His drill designs have won multiple awards both locally and nationally in the SCSBOA, SCJA, MBOS, WSMA and WBA band circuits. Although Steven is a full time designer, much of his creative work is balanced out with his involvement as an instructor. During the fall seasons he teaches as the Visual Caption Head at Los Alamitos High School and Orange Lutheran High School. During the winter seasons Steven serves as the Visual Caption Head for award winning Pulse Percussion, from Los Alamitos, Calif. and serves as the drill designer for POW Percussion from Ontario, Calif.
During the summers, Steven worked with Pacific Crest Drum and Bugle Corps from 2009 to 2012 and was the drill designer from 2010 to 2012. Steven has also worked on the visual staff with The Cavaliers Drum and Bugle Corps since 2009, and has served as the Visual Caption head since 2011. Steven enjoys his involvement year round with the marching arts and is excited to join the staff and design team at Bakersfield College Indoor Drumline. 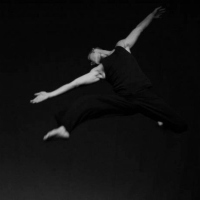 Tim Heasley is a visual and performing arts educator based in Central California. He currently works in the Kern High School District. He is also the director of the Bakersfield College Band and BC Drumline. 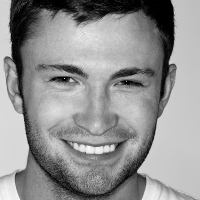 Most recently Tim has spent his summers as the sound engineer for the Madison Scouts.